In recent blogs here at Conaway Motors, we’ve discussed the 30k & 60k miles service, and now it’s your 90K mile service in Lynnwood we’d like to talk about. Not all vehicles make it to their 90K mile service milestone. If they do, that is a sign that you have taken good care of your vehicle. It is around 90 miles that many manufacturers predict that major vehicle parts will begin to wear out. Therefore, it is important to get things like your motor compression, your universal joint, and transmission checked at this particular milestone – especially if they have not received any attention lately. 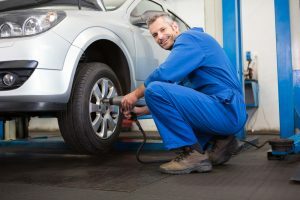 Some people worry about the cost of these check-ups that come along around every 30,000 miles, but the maintenance that is performed at each of these points just might save money in the long run. Preventative maintenance cuts down on the wear on mechanical parts and helps maintain electrical and electronic components in your vehicle. As the old saying goes, “A stitch in time saves nine,” meaning that a single mending stitch taken in a timely fashion can prevent the need for a lot more stitches at a later date. So it is also with those periodic, mile-marker vehicle checkups. Here at Conaway Motors, we announce: And now it’s your 90K mile service in Lynnwood, so give us a call at (425)905-2424. We’ll be glad to help you out with those periodic maintenance chores that can help prolong the life of your vehicle. We can assure you that our prices are fair and competitive, and that we will perform only the maintenance upon which we both agree. We take pride in being the automotive shop where honesty is not left by the side of the road.